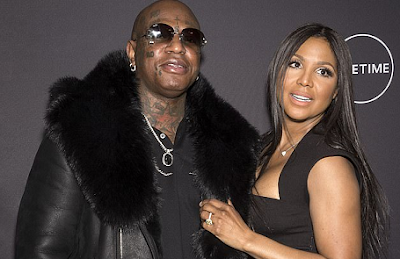 Toni Braxton is making a desperate plea for her stolen engagement ring to be returned - 'no questions asked'. The 51-year old singer left one of her bags on a Delta flight on Tuesday. Then after several attempts to get in touch with the airline, she got her bag back - only to find that some of her jewelry was missing, including her prized engagement ring. It all began when she took a flight from JFK Airport in New York to LAX in Los Angeles on Tuesday. The initial plea worked. The airline found the bag but most of the jewelry inside it was missing. 'Whoever BORROWED it...PLEEEASE return it!!!! I promise, no questions asked!' an emotional Braxton shared in a follow-up tweet.